Has your claim ever been denied for failing to meet the reporting requirements under the policy terms? 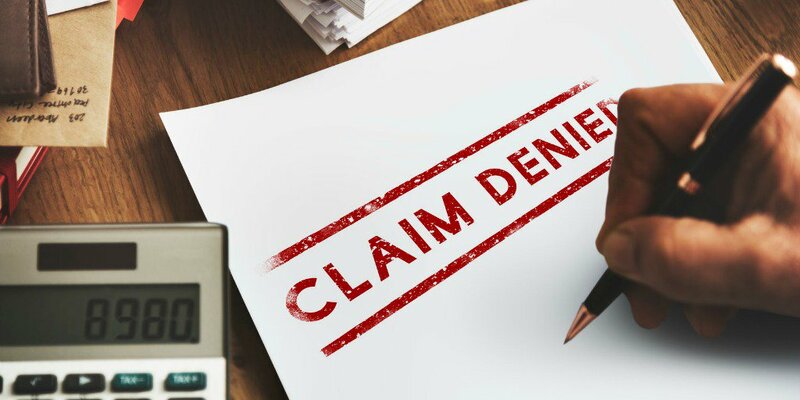 One common reason a claim is denied is for an insured’s failure to meet the reporting requirements. Real Estate E&O is a very unique and specific policy where the claim has to occur and be reported during the policy period. This is an industry standard for this line of insurance, no matter who you are insured with. What’s the difference between your auto policy and your real estate E&O policy? An auto policy is an occurrence-based policy. An occurrence-based policy covers incidents that occur within the policy period regardless of when the claim is filed. Example: The policy period is January 1, 2015 through December 31, 2015. A car accident occurs on November 11, 2015. It is not reported until January 13, 2016, and the policyholder is no longer with the carrier. The claim is covered since it occurred during the policy period. Let’s talk more about the reporting requirements. What’s an incident? An incident is ANY verbal or written notice of any issue that could potentially become a claim. You should report every incident, even incidents that occur between buyers and sellers. Even though they do not pertain to you, insureds commonly get dragged into these situations. What is a claim? A claim is defined as a written demand for money or service. Now, let’s use the same policy period dates for a real estate E&O example. The buyer sends a demand letter to the seller and forwards a copy to the agent on November 11, 2015. Since the letter is not addressed to the agent, he files it away and forgets about it. In March 2016, the buyer files suit against the seller and agent. The agent’s policy renewed on January 1, 2016, and the agent didn’t disclose any potential claims on their renewal application. The application specifically asks if he is aware of any issues or incidents that could become a claim. When the claim is made in March 2016, the agent is shocked to find that he may not be covered since he didn’t disclose the demand letter (which is an incident) on the application when he renewed. This highlights why it is so important to report incidents with a claims made and reported policy, like your real estate E&O insurance. How does CRES stand out? Our company was founded on risk management, which provides significant benefits to those we insure. Our Risk Management — Legal Advisory Services counsel is available seven days a week, because we know you work seven days a week too! We’ll put you in touch with practicing, expert Real Estate attorneys who will contact you the same day. Every CRES policy comes with Risk Management — Legal Advisory Services, and we highly encourage you to use this service. It is designed for pre-claim matters that are transaction related. In fact, one of our real estate attorneys has prevented 6,000 claims! We strongly encourage incident reporting. This is an important part in preventing coverage issues. Since E&O is a claims made and reported policy, it is imperative that issues are reported as soon as they arise. Incident reports allow you to protect the reporting requirements without filing a claim right away. This gives you the opportunity to resolve issues on your own, while also putting your insurance company on notice of a potential claim to help ensure coverage later. To be clear: A claim is filed under your policy, gets reported to the carrier, and is assessed during your renewal. An incident report does not get recorded under your policy, it does not get reported to the carrier, and is not assessed at your renewal. If you open a claim for the incident at a later time, it will date back to when you reported the incident to us initially. Can my incident report be reviewed by CRES Risk Management — Legal Advisory Services? Absolutely! CRES Risk Management will review any incident report upon request. We will advise you on how to address it and any available way to better protect yourself from the claim. Did you know as a real estate E&O policy holder you are required to report ALL incidents prior to your renewal, or you may not have coverage? The big question everyone asks – “How do I know when to report?” Our motto is safe, simple, and smart — “Report, report, report.” It is better to have a long list of potential claims than to miss one and have it erupt into a claim that may not be covered. Follow this same practice for any tail coverage! What’s tail coverage? Stay tuned for the next segment of Understanding Your E&O Insurance. If I call CRES Risk Management, is that essentially the same thing as reporting an incident? Yes! This is another reason we strongly encourage our insureds to call CRES with any issue. If Risk Management gets involved early on, there is a good chance your claim can be prevented. We log each call and will always have a record of you calling to report an issue. As long as you report to CRES in a timely way, you are protecting your reporting requirements. The last thing anyone wants is the stress of a claim or a loss on their policy record. Incident reports are the safe, simple, and smart solution. Most insurance companies do not want to hear from you until you have a claim. CRES Insurance is different – we want to hear from you before the claim comes. We want to support you through the process and help prevent claims on your loss history, so you can focus on your current and future success. How do I report to CRES Insurance? Simple! Email rm@cresinsurance.com or call (858) 676-9854.